Star Trek: Discovery is days away, and we've got some last-minute updates on the new show! 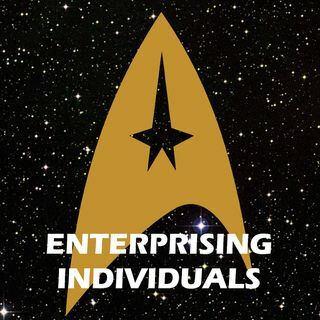 Plus, we report the exploits of human powder keg, Jason Isaacs, report on the misfortune of seeing your bride's titles before the ceremony, examine the origins of Trek Fu, and check out a list of Trek's most streamed episodes! Plus, our Star Trek: Discovery recap show, Discoverage, premieres this Sunday at 9:30pm Central. Find out more by following us on Twitter, and join us and special ... See More guests Dave Galanter and Ella Pearson for a discussion of the new show! The hour approaches for the release of Desperate Hours! Pick up Dave Galanter's Desperate Hours on Amazon! Follow Ella's exploits on the Generations Geek podcast!